PLOT: When Louis Bloom, a driven man desperate for work, muscles into the world of L.A. crime journalism, he blurs the line between observer and participant to become the star of his own story. There is nothing I enjoy more than the movie awards season. A BAFTA or Oscar nomination is no guarantee of quality and is often just the industry back slapping the industry for celebrating the industry (Birdman I am looking at you). But there is always a curve ball. A film that I may not have otherwise come across. 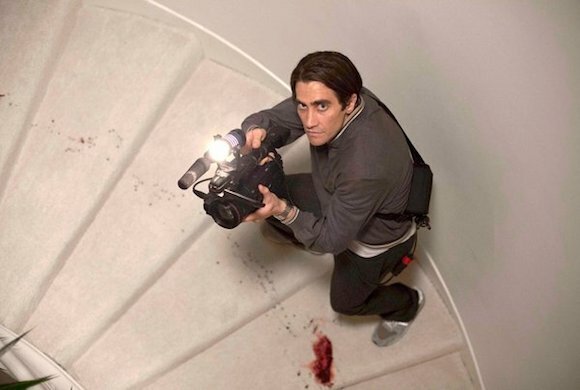 in 2014 it was Spike Jonze’ wonderful Her, this year it was the writing and directing debut from Dan Gilroy, Nightcrawler. From the producers of Nicolas Winding-Refn‘s superb Drive, the film has a similar feel. Set in the dark streets of night time LA, Louis Bloom (Gyllenhaal) is a small time petty crook with big dreams. Crime is just a stepping stone however. Lou isn’t afraid of work and when he stumbles across a film crew at a road traffic accident he decides to try his hand at freelance crime journalism. He just needs to find some cash for a camera and a police scanner. There is something special about the character of Lou that immediately has you warming to him, despite his first action being beating up a security guard and stealing his watch. Gyllenhaal plays him with a child like warmth that makes the inevitable change as the film goes on feel the more striking. It is this character development that sets Nightcrawler apart as Lou mixes hard work with blatant corner-cutting to build up his new enterprise. The introduction of Rick (Riz Ahmed) on a low paid internship starts to show Lou’s manipulative character and over the course of two hours things become darker as you realise that Lou will do pretty much anything to ensure his success. But despite this, you still like him. Not as a loveable rogue, but more like a child who doesn’t know where to stop (even though you are pretty sure he DOES know where to stop, but chooses not to). Through his rivalry with another ‘stringer’ crew, his tampering with crime scenes, his withholding of evidence and his demanding relationships with Rick and also Nina (the News Director of a local TV station, played by Rene Russo) we see just how far Lou will go and how disastrous the consequences become for those around him. As a writer Gilroy has delivered a fine script that takes us into an nocturnal world that must exist, but has not been showcased before. As a director he has produced an amazingly stylish debut for just $8.5m. But his greatest achievement is the career-defining performance he has drawn out of jake Gyllenhaal. Both Gilroy and Gyllenhaal received Oscar nominations (Best Original Screenplay and Best Actor respectively) and whilst neither won, it is a testament to one of the best debut films of recent times. 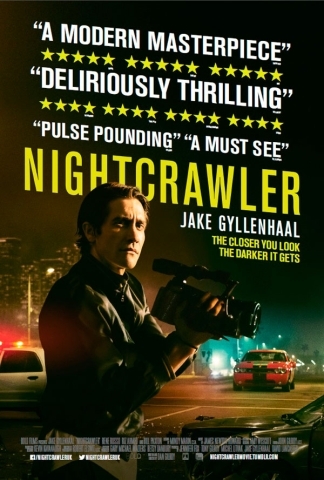 Nightcrawler has recently been added to the Amazon Prime streaming service, so I urge you to check it out and then come back here and tell me how right I was. After dark LA hasn’t looked so good since Drive. 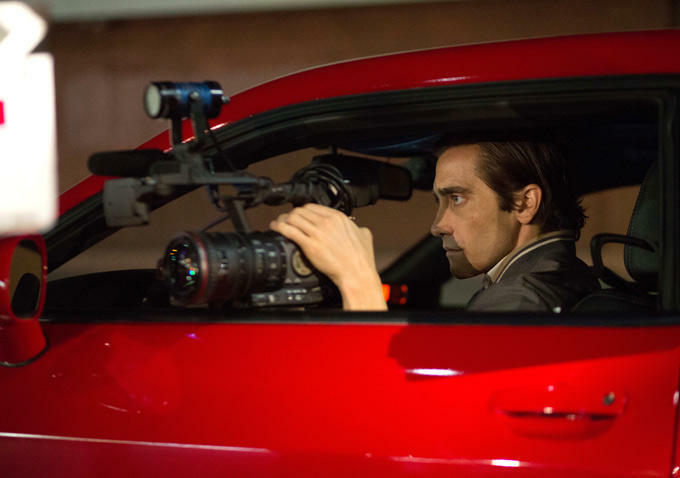 Nightcrawler shines from every camera angle, every performance and every piece of score.